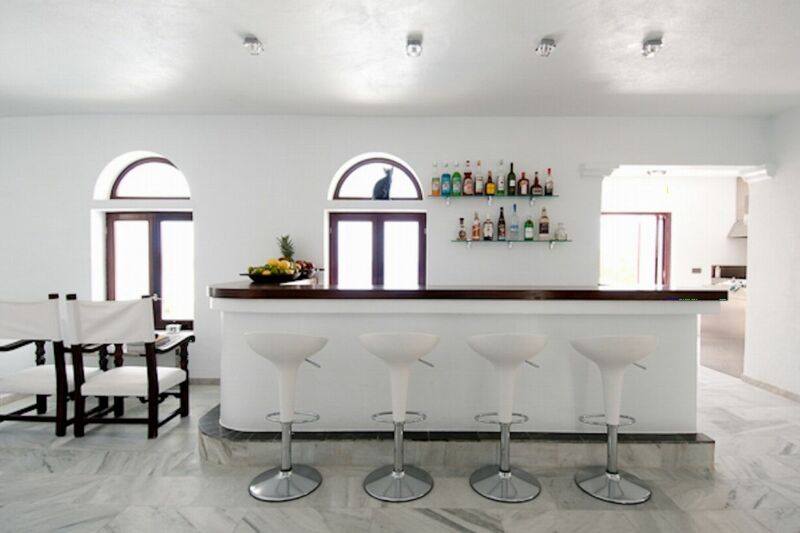 6 full time staff, including housekeeper. 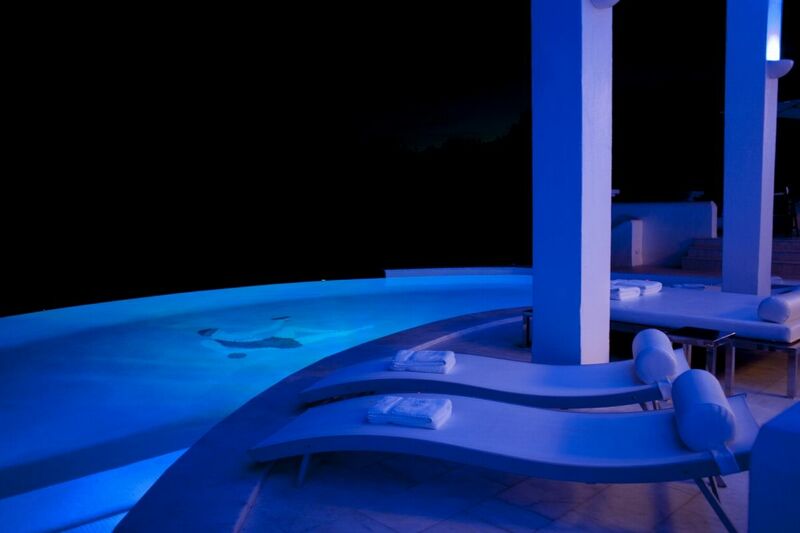 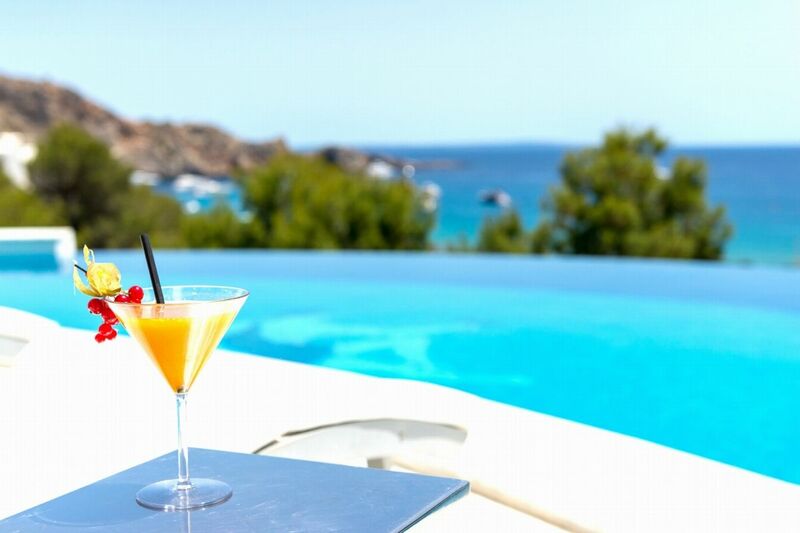 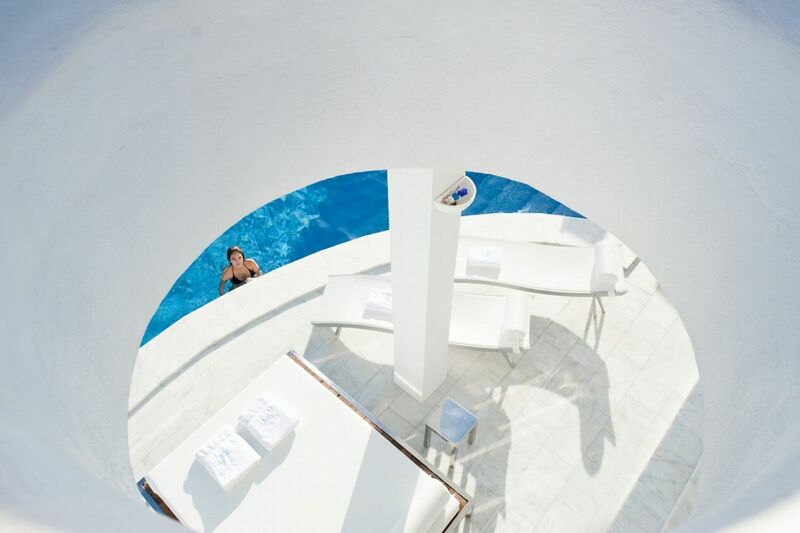 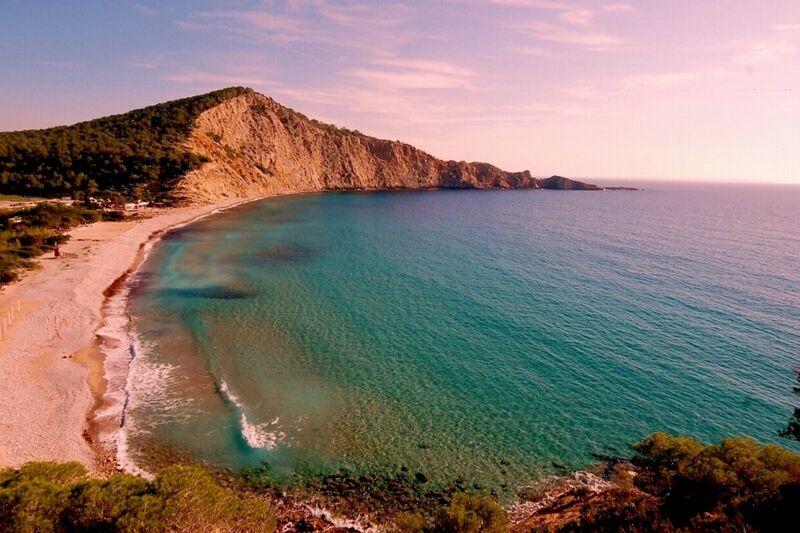 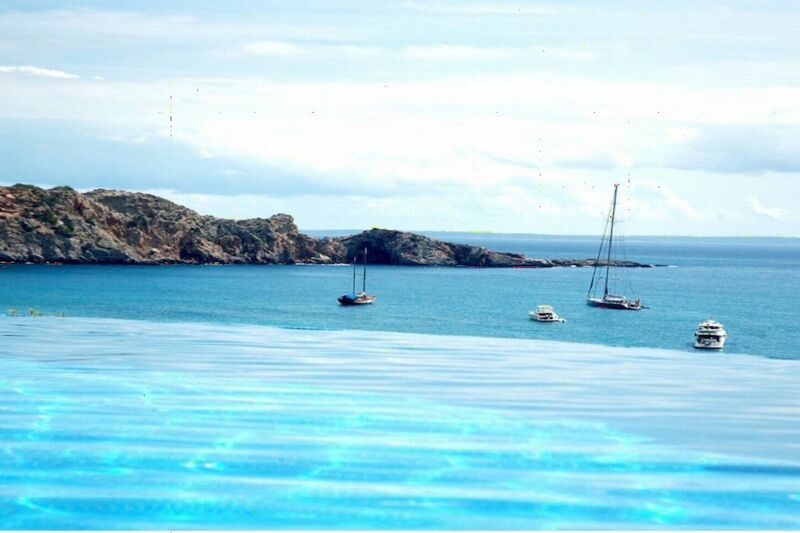 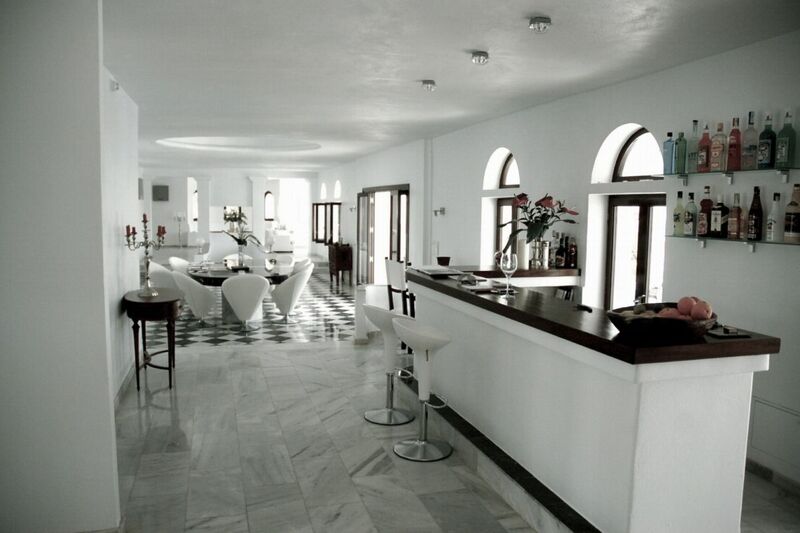 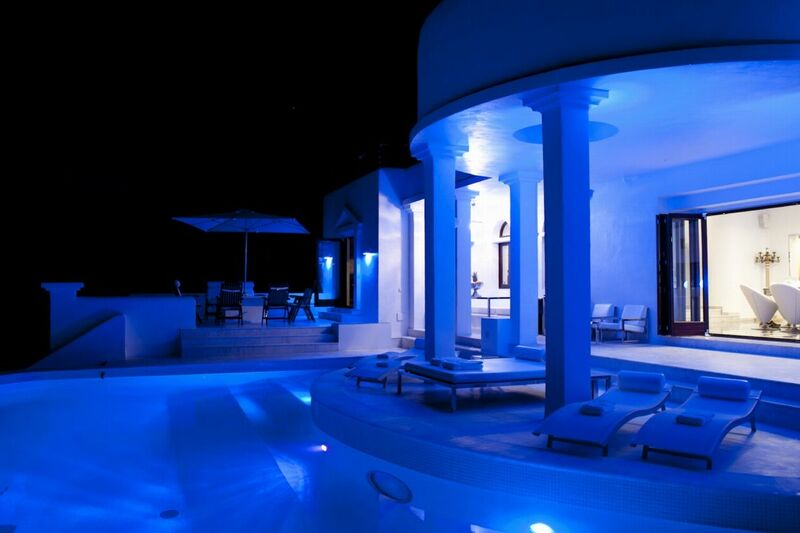 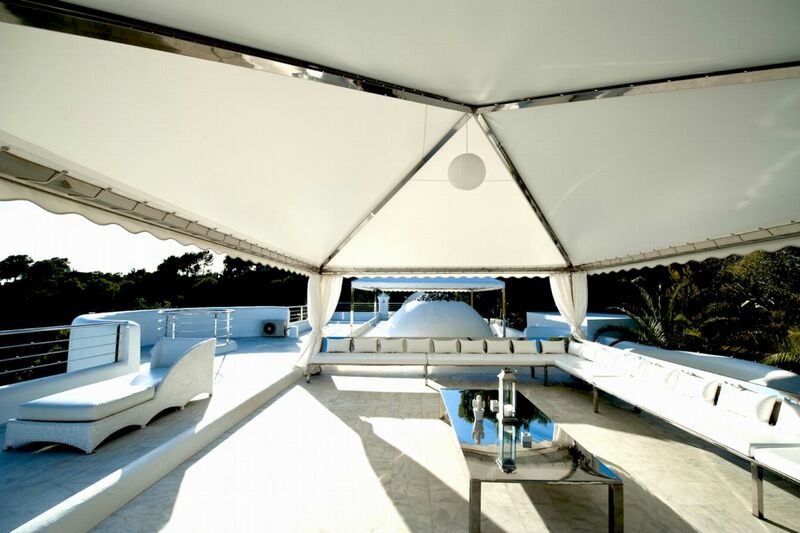 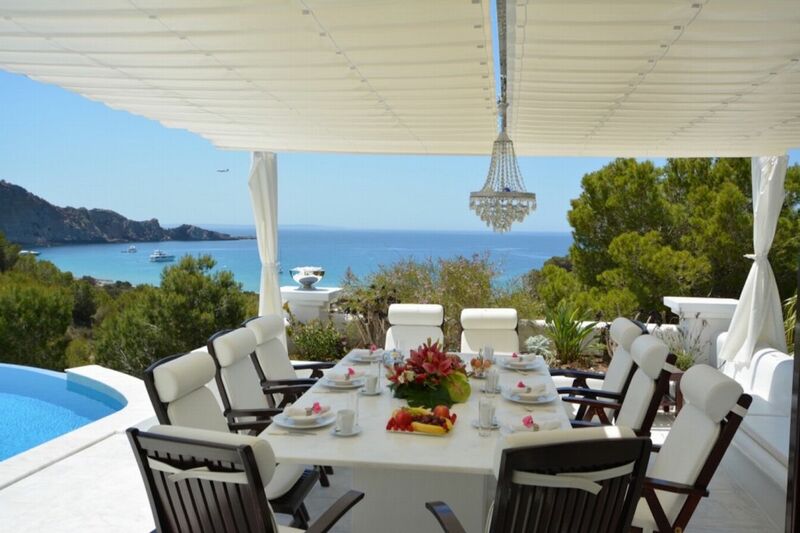 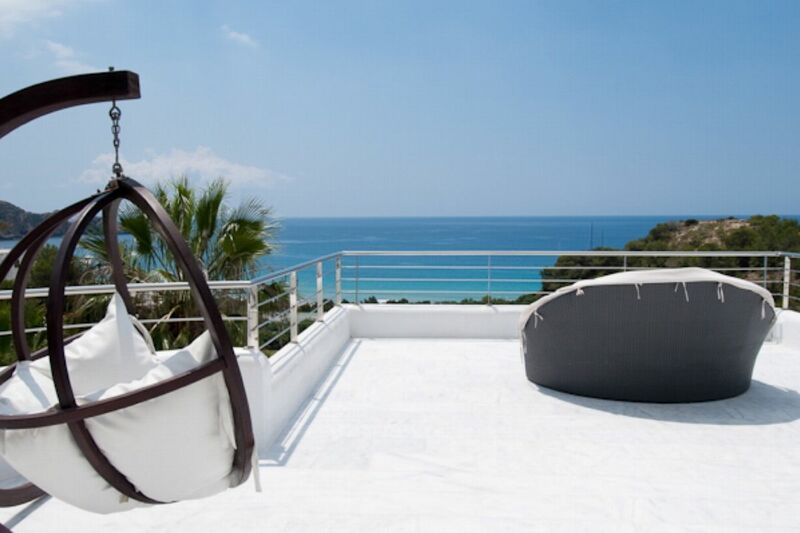 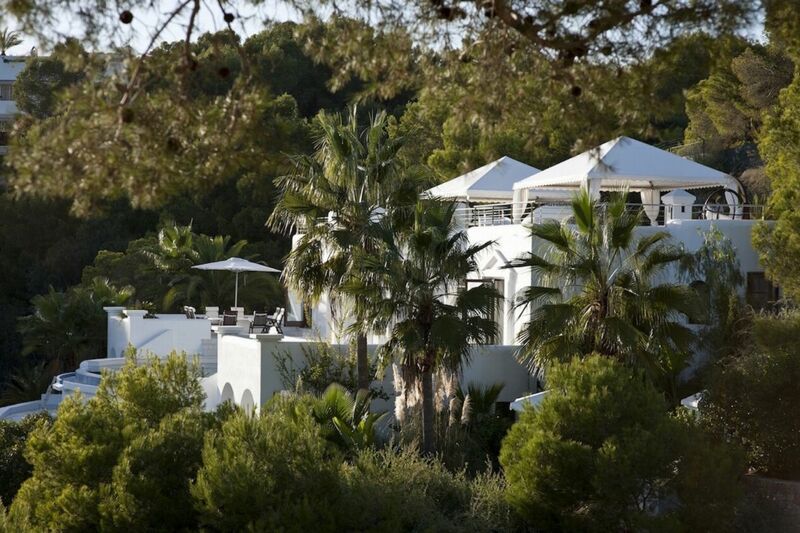 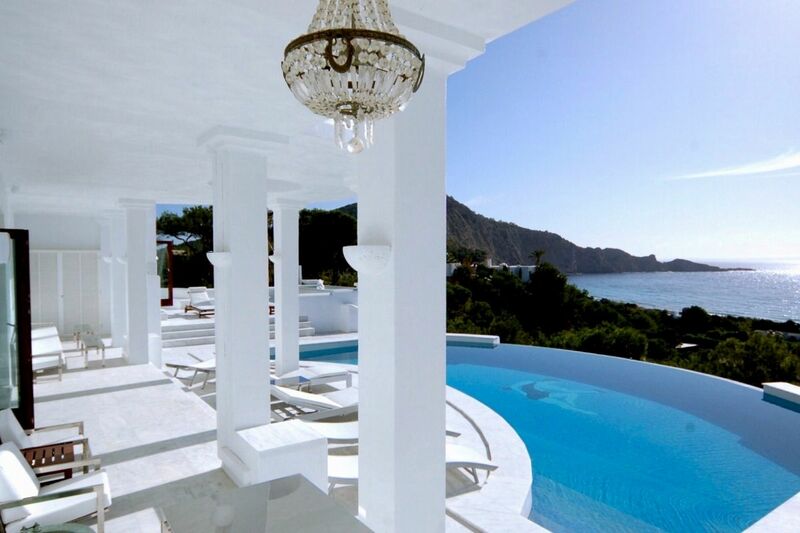 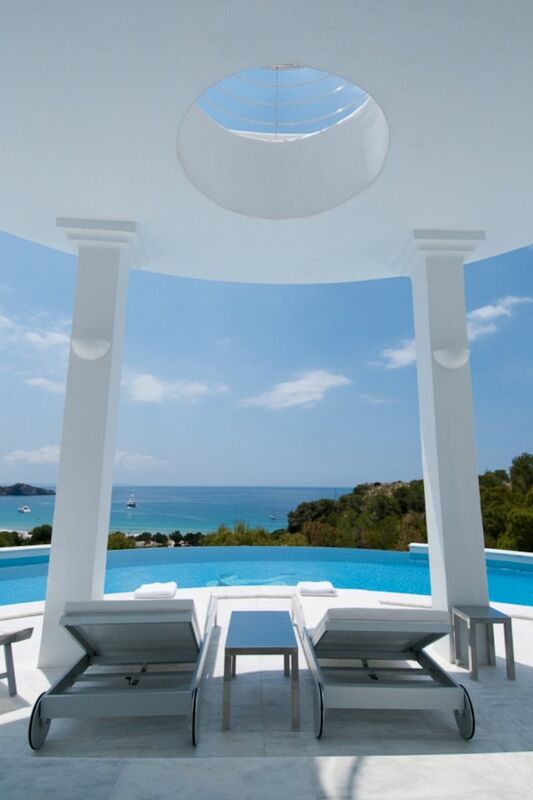 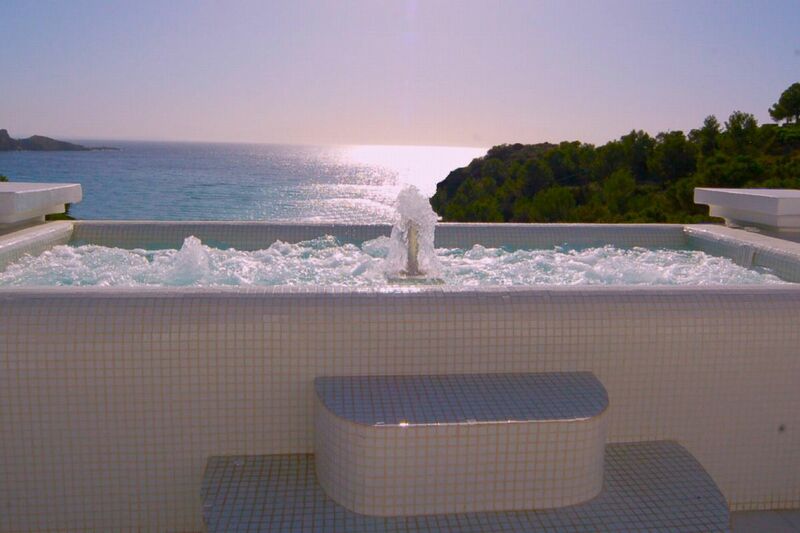 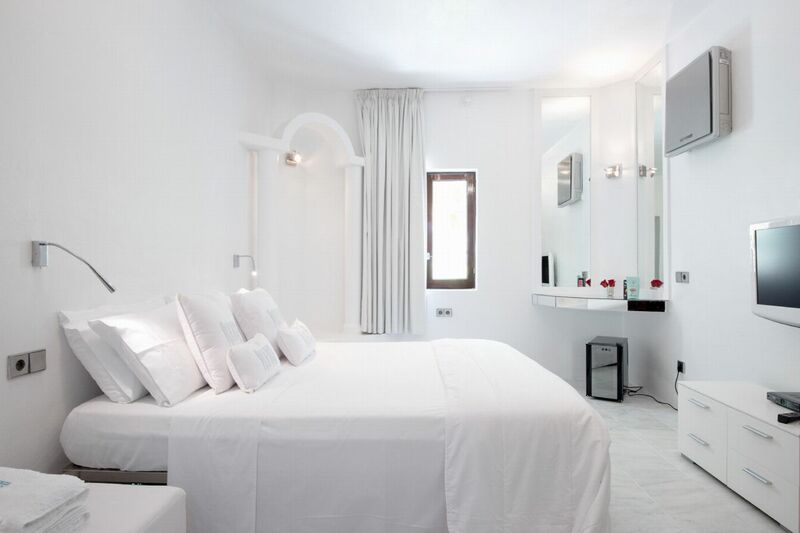 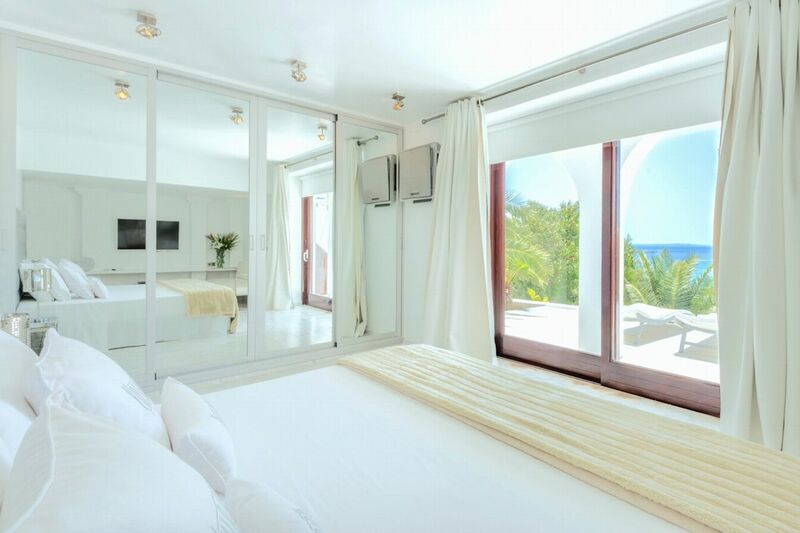 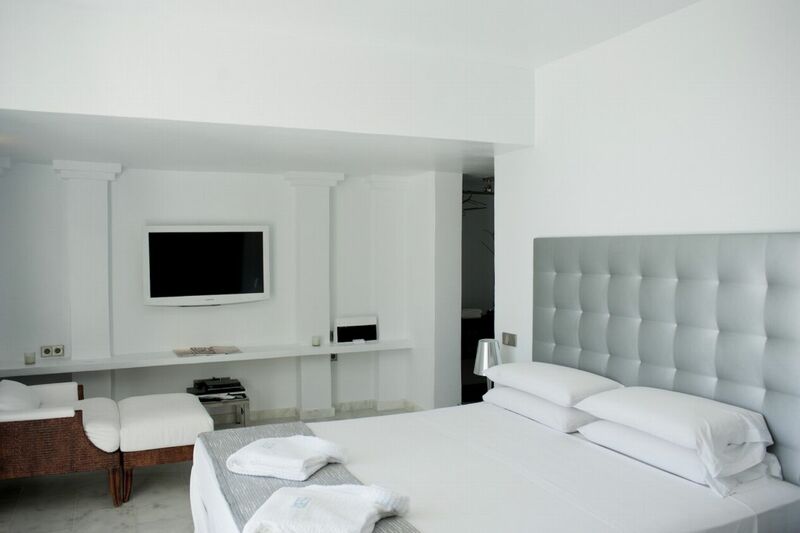 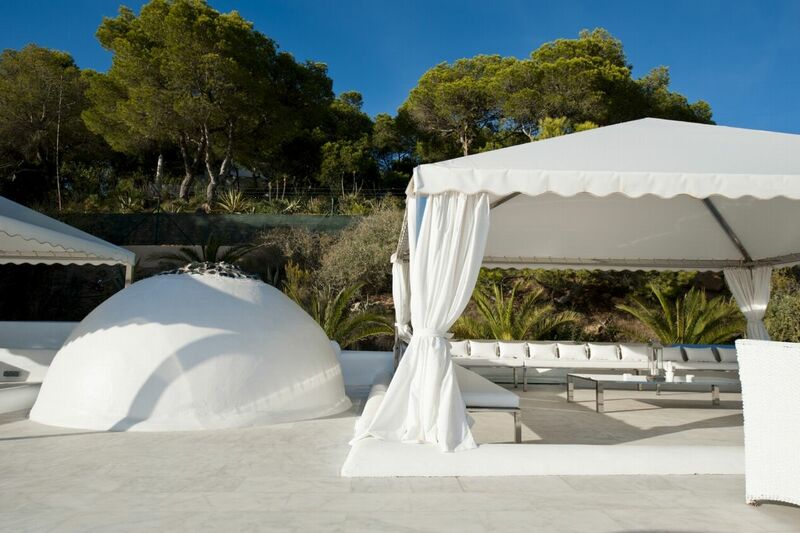 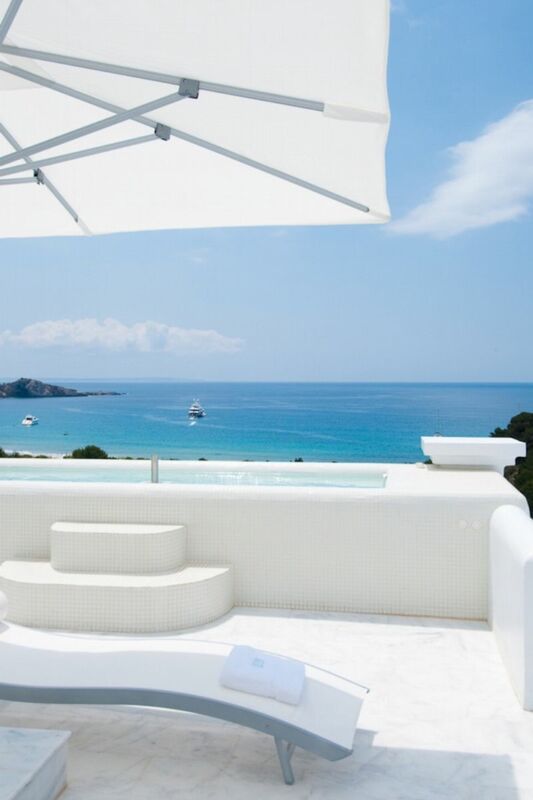 Fully staffed iconic Ibiza property with views of Blue Marlin and the crystal clear waters of the Mediterranean sea . 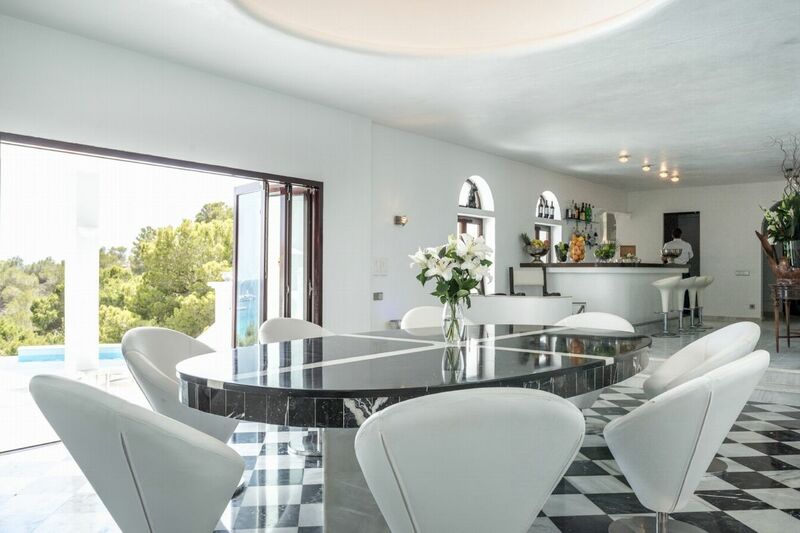 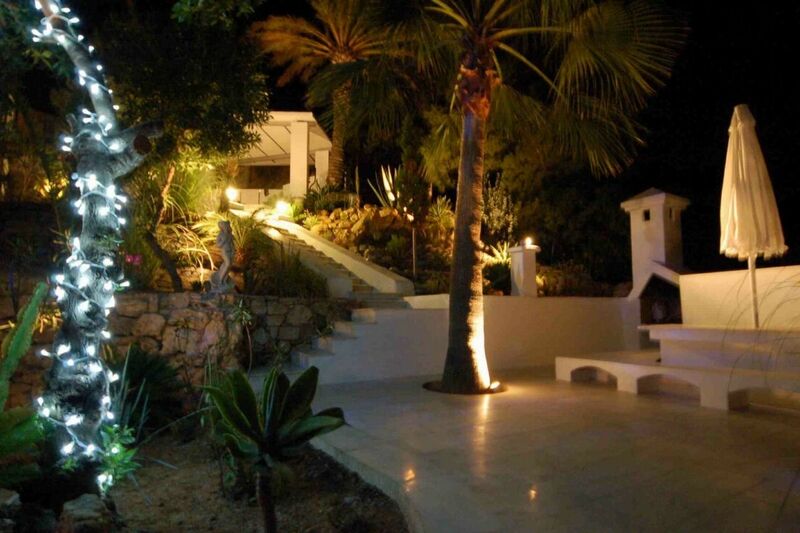 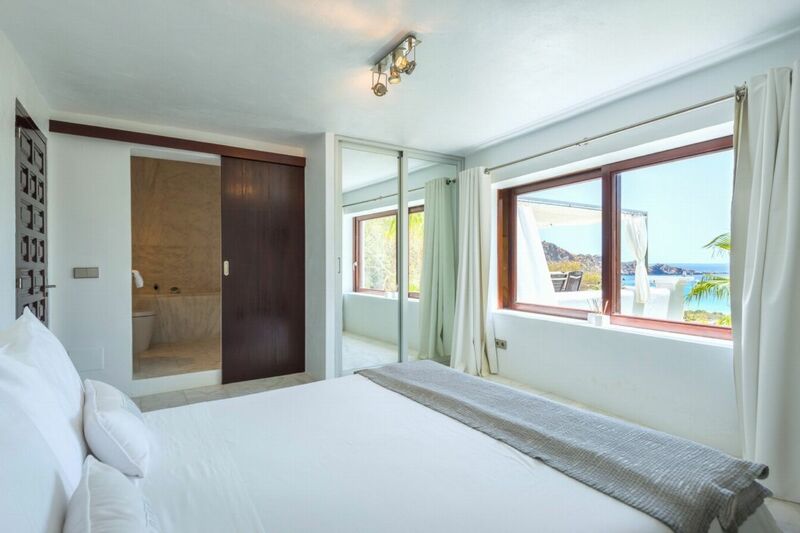 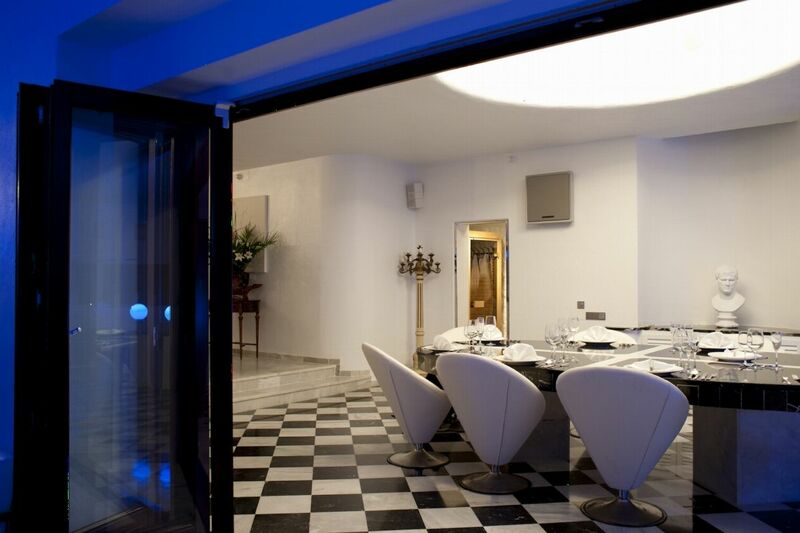 This super luxurious 5 bedroom Villa with views over Cala Jondal has many fantastic features including its very own underwater bar and disco with sub aquatic windows - your very own private after-hours club. 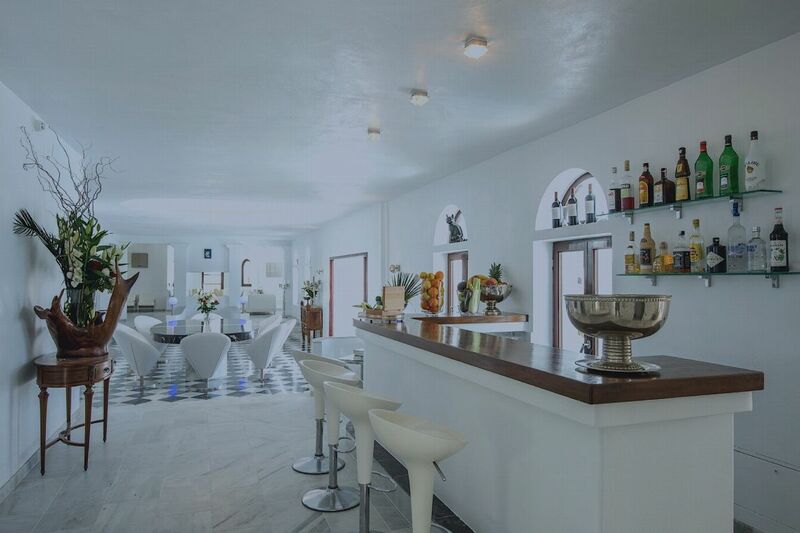 This super luxurious 5 bedroom Villa with views over Cala Jondal has many fantastic features including its very own underwater bar and disco with sub aquatic windows â€“ your very own private after-hours club. 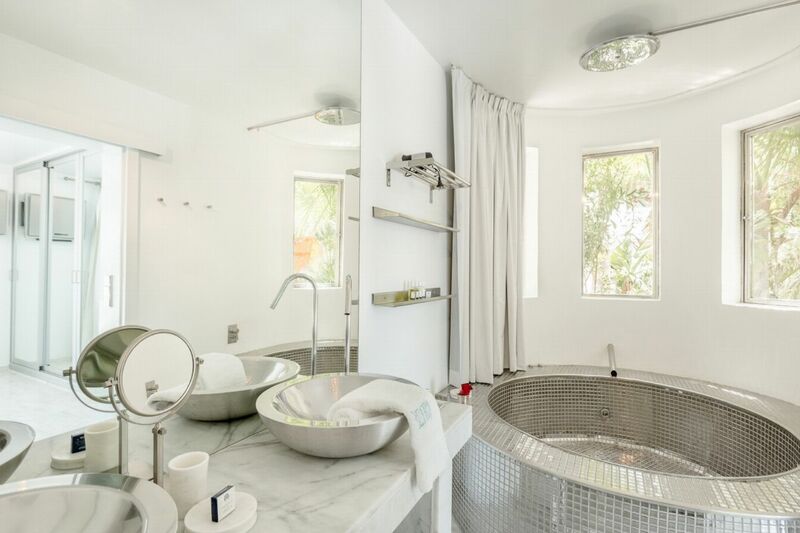 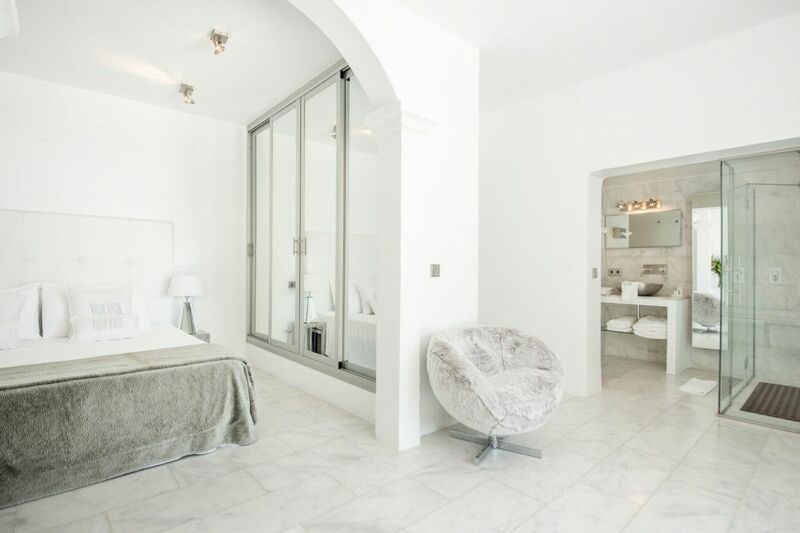 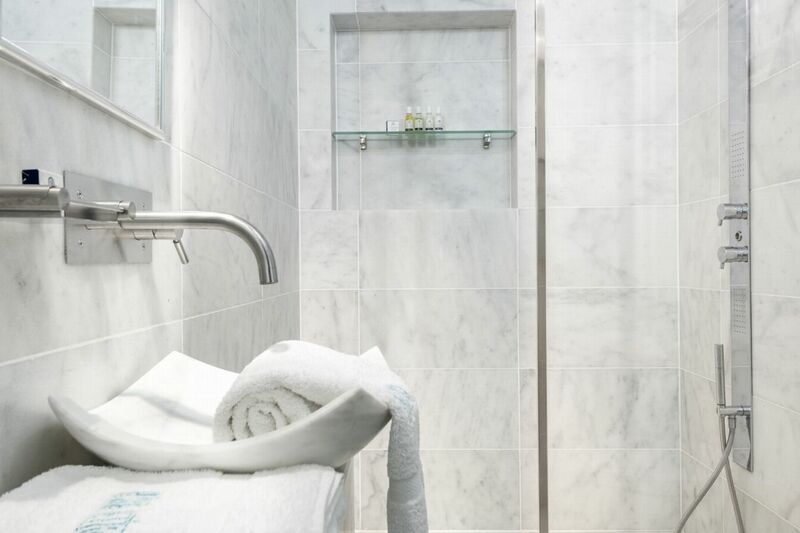 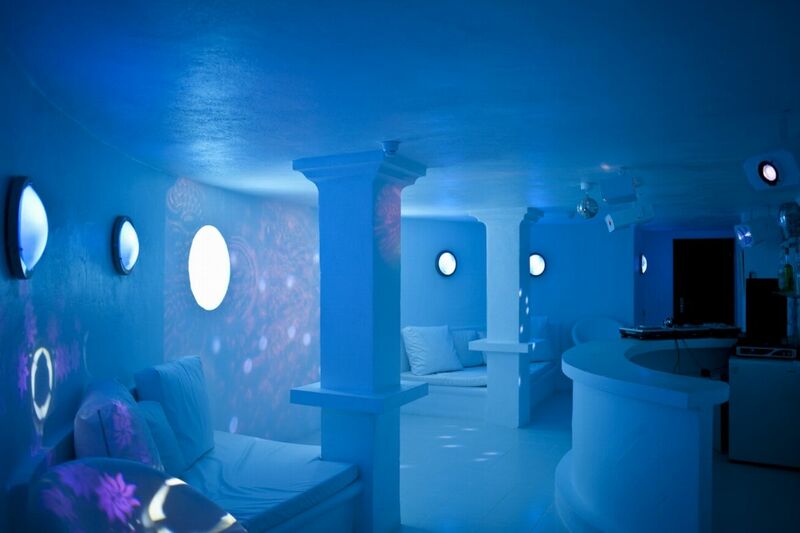 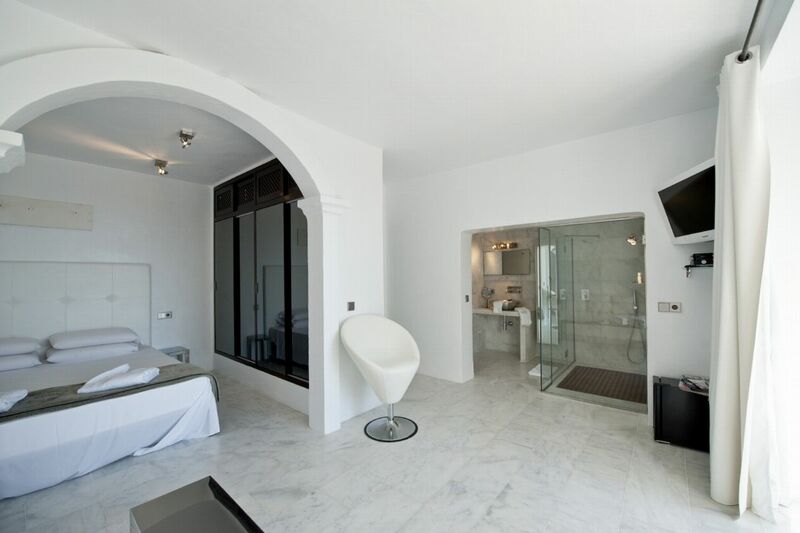 There is also a small gym, a thermal sauna and a bespoke roof terrace hot tub accommodating 8 people. 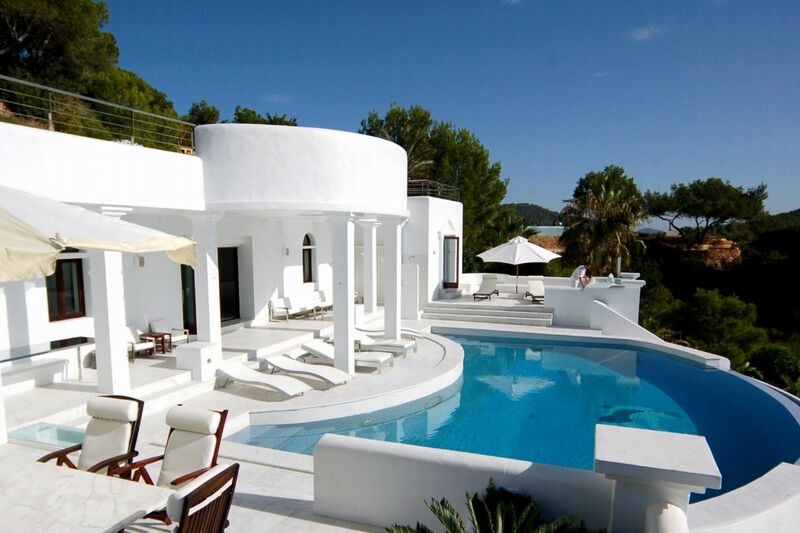 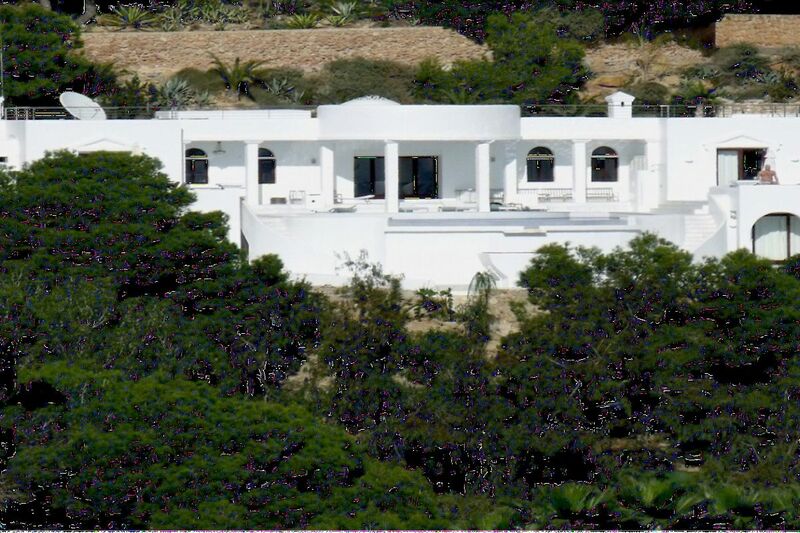 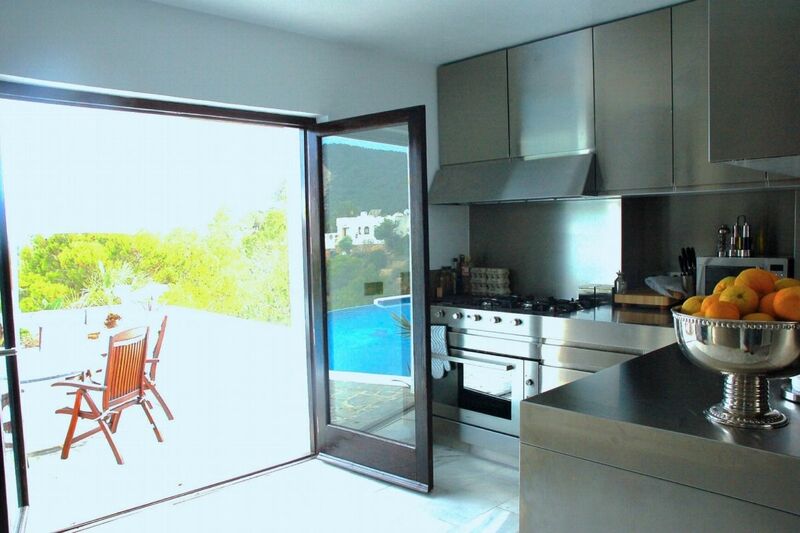 It is set within a large plot of 20,000 m2, the villa is 450 m2 and has amazing views to Blue Marlin Ibiza beach club and it is just a one minute walk to the beach. 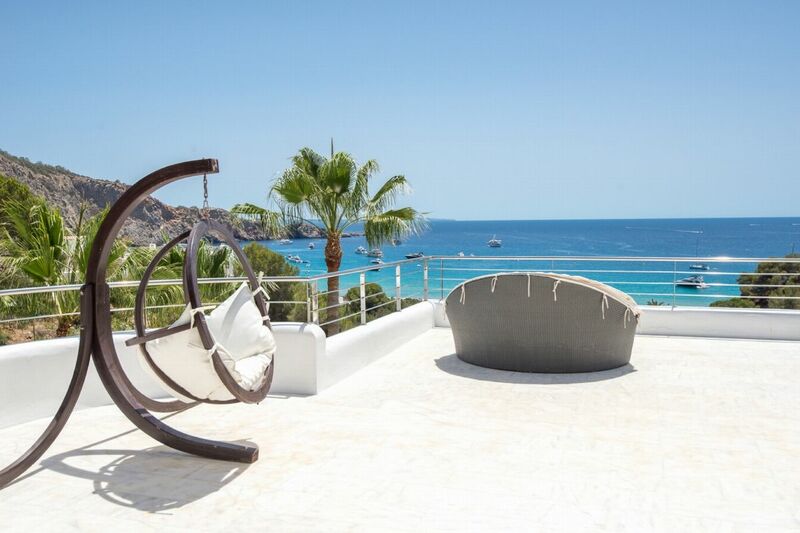 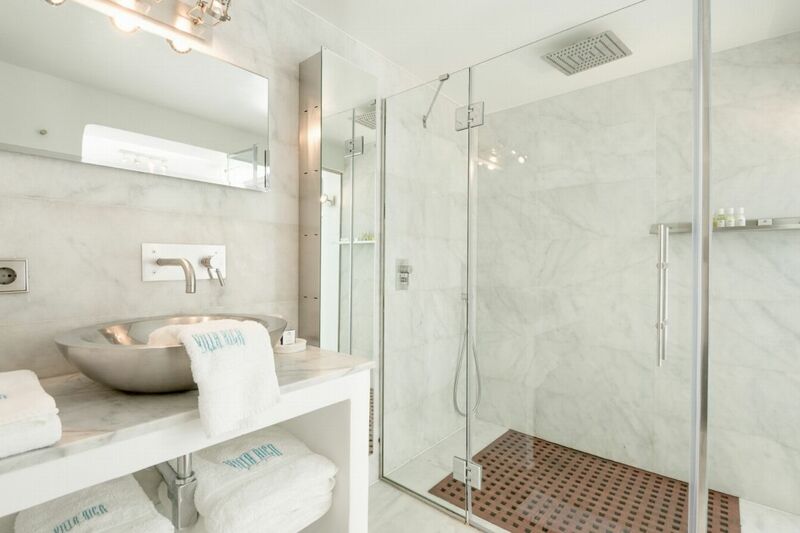 So that you can relax and focus on enjoying your vacation to the full, there are six full-time staff including a Host concierge, two Butlers, Personal Chef, Housekeeper and a night time security guard included in the rental. 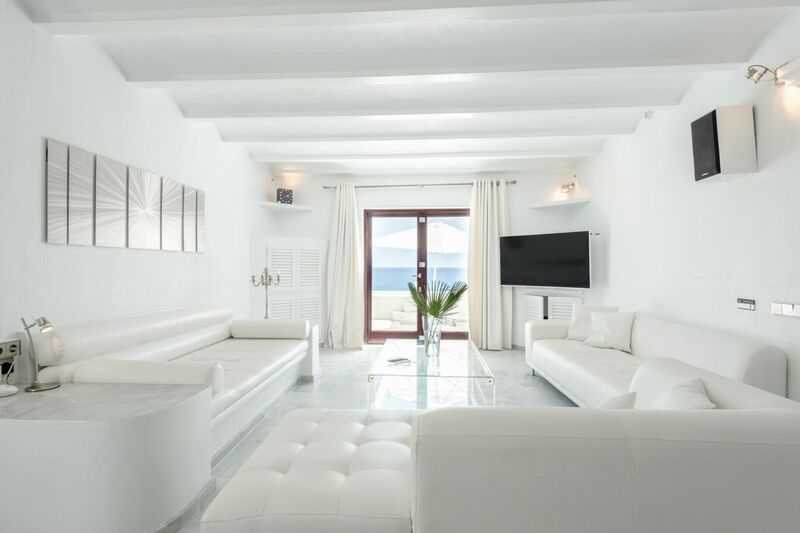 LIVING AREAS There are several living rooms, chill out areas, a large indoor and outdoor dining area and fully equipped ultra modern kitchen. 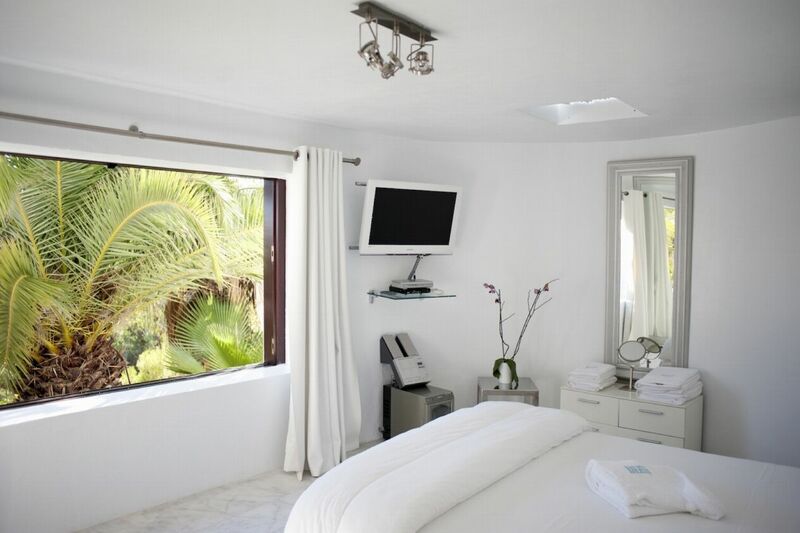 All modern conveniences such as Wi-Fi, international satellite TV and sound system make the interior a home from home. 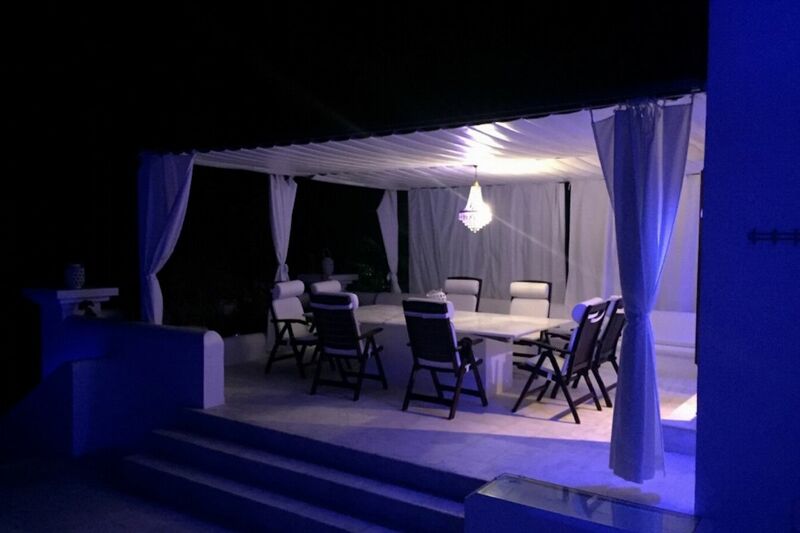 Outside, the heated pool, hot-tub, skylounge and al fresco dining provide lots of options for chilling out or entertaining. 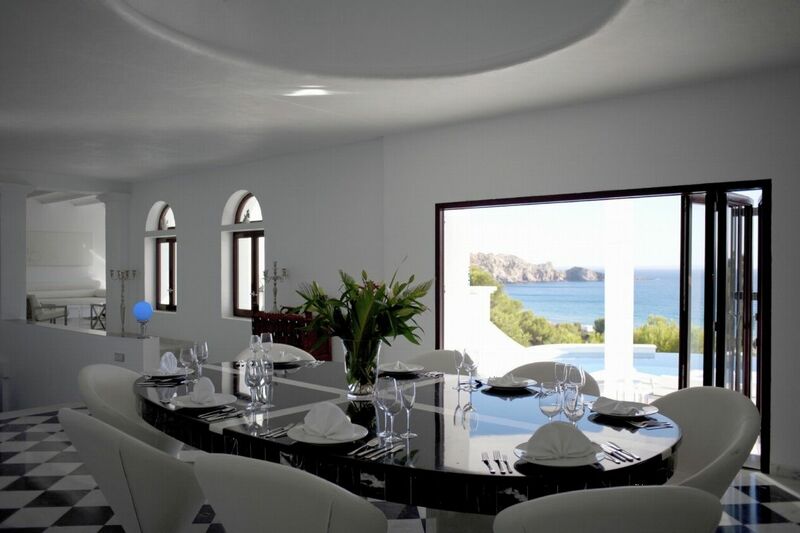 The chef can prepare a selection of fresh organic produce including locally caught fish and the Butlers can serve cocktails, canapÃ©s and freshly pressed juices (please note there is an additional charge for any food sourced and supplied).